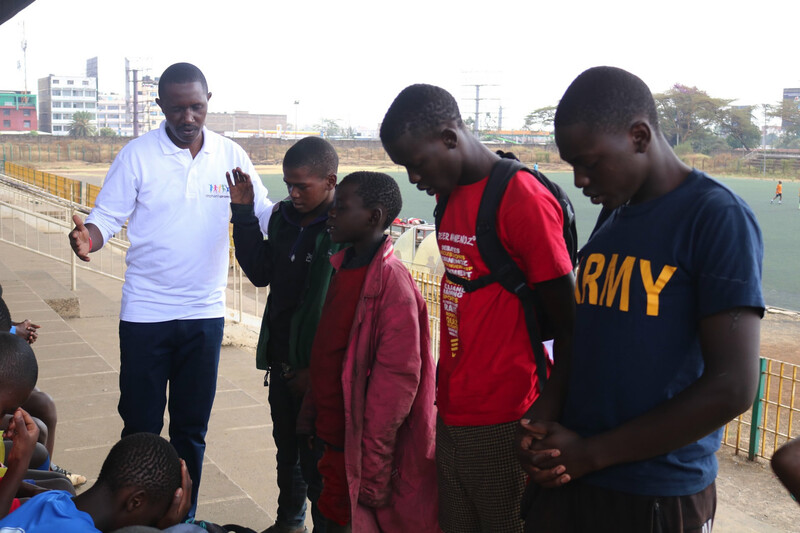 Recently our staff in Kenya partnered with a local ministry called Friends of The Homeless, to conduct a one day outreach to street children living in the slums of Nairobi. 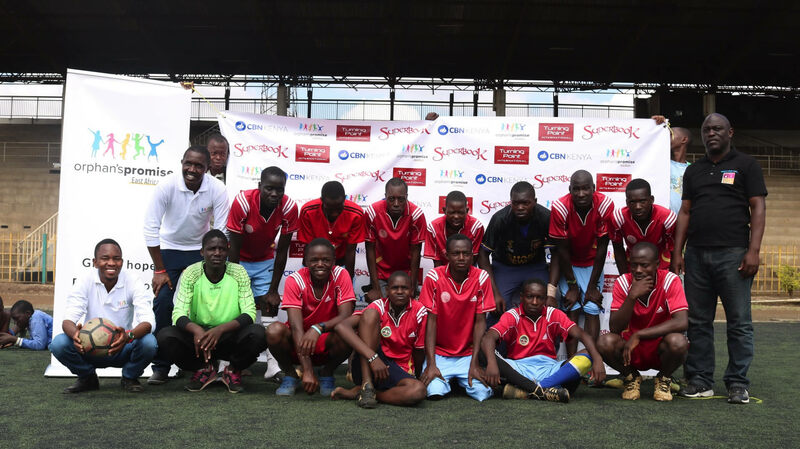 These street children have fallen through the cracks in society and have no support network to help them succeed. They live off of whatever they can find picking through trash and often stealing from street vendors and supermarkets. 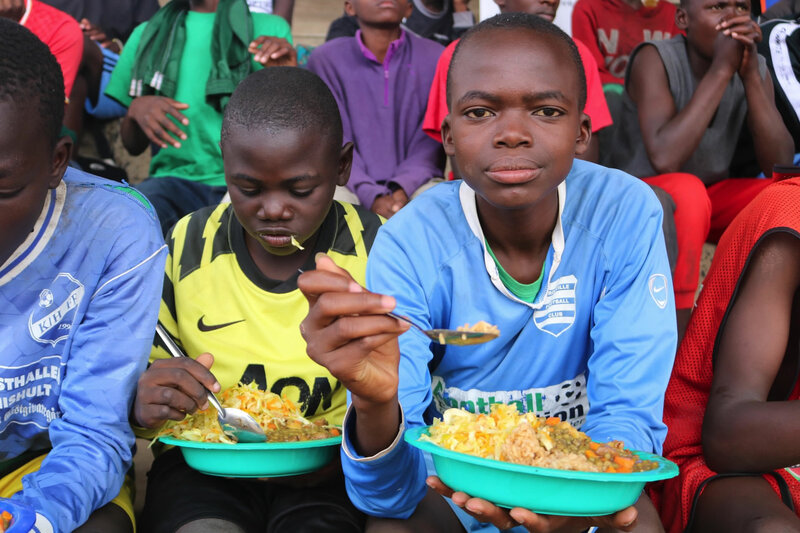 Nairobi, once a flourishing, lush, green city, is now filled to the brim with families living on the streets, in alleys, and parks, many with young children who are starving and struggling to thrive. 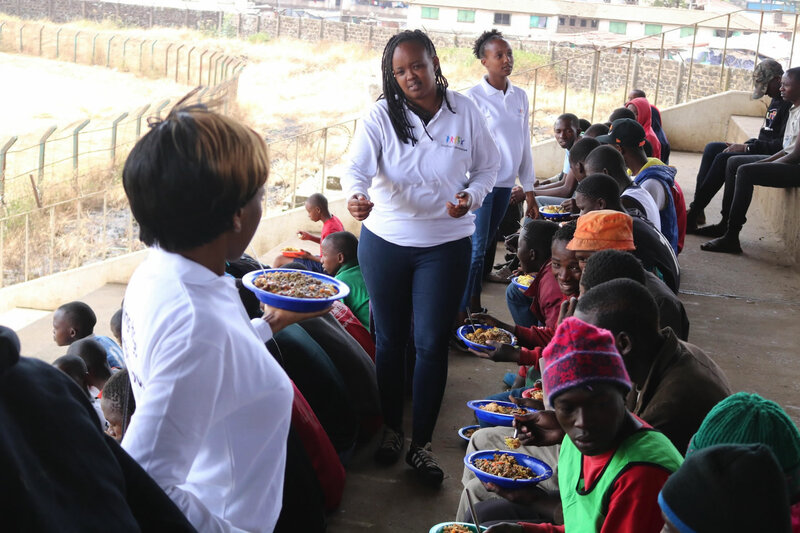 The Nairobi government estimates that there are nearly 6,000 children under the age of 18 living on the streets of the city, an alarming number with no clear solution. 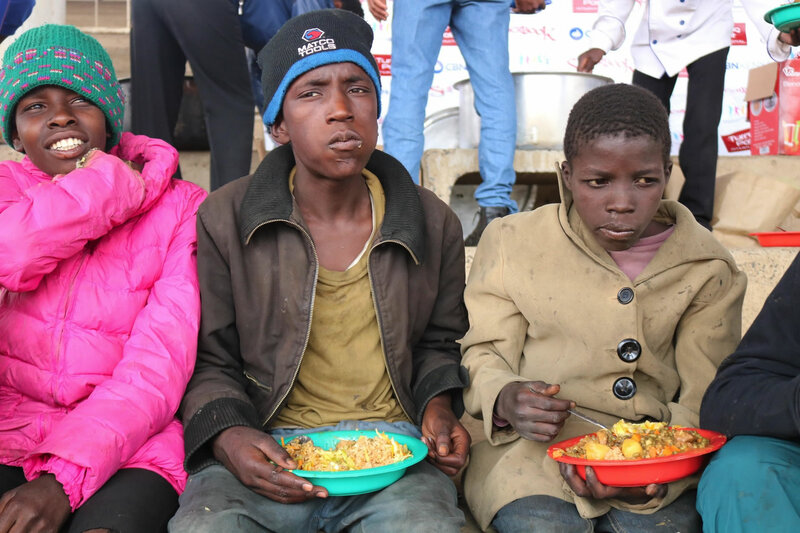 Friends of the Homeless is working with the local government, and organizations like Orphan’s Promise to rescue these children from the streets, rehabilitate them and help them find a way to begin moving toward success. On the day of the event, more than 50 children showed up, met by the friendly, smiling faces of Orphan’s Promise staff who spent time getting to know the children, talking with them and praying with them. They served them a hot meal, which was a highlight of the day. After some competitive soccer games, complete with team uniforms! – and lots of laughter – for some this was the first time they’d be able to truly act like children in a long time – the staff shared the Gospel and told the children about the God who loves them, and cares for them. Many of the children were moved by the message, and five young boys came forward to give their lives to Jesus. It can be overwhelming to think about the needs these children face day in and day out living on the streets of Kenya’s capital city. We know we can’t rescue every single one, but when we can feed these precious kids, when we’re able to learn their names, to cover them in prayer, and to show them they are loved, it gives them – and us – hope that their futures may yet be brighter than their beginnings. Thank you for your support of our work, we are honored by your belief in Orphan’s Promise.